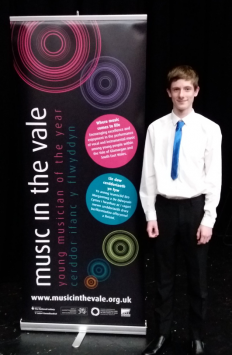 Jack Ollier recently entered in the Music in the Vale. He performed on both piano and clarinet and was highly commended for his clarinet performance which was the Slow movement of Crusell Concerto in F Minor and the Finale of Malcom Arnolds Sonatina for Clarinet. He also performed a duet on guitar and recorder (Jack playing recorder)in the ensemble class and they performed beautifully together. Jack is a credit to his family and to Whitmore High School. Well done from all of us in the Creative Arts Department.